Choosing the right helmet and making sure that it fits properly is important. Even though an ill-fitting helmet is better than nothing in the event of an accident, the actual protection you receive will be greatly improved by making sure that it fits your head and is securely fastened the right way as well. Bike helmets have a distinct purpose and that is to protect the head from trauma in the event of a bike accident. Bike helmets, when work properly, can prevent or lessen the severity of brain injury during an accident and it can also save a life. The reviews we’ve provided below are of three top rated bike helmets that have topped the charts in many categories, from performance to style and adjustability. These are the best of the best and any one of them would be a great choice for your bike helmet needs. There are many different types, colors and styles of bike helmet on the market. They are used by both adults and children but the importance to each is equal. There are several things to learn about when it comes to choosing the right bike helmet for your needs. The reviews we’ve provided below are of three top rated bike helmets that have topped the charts in many categories, from performance to style and adjustability. These are the best of the best and any one of them would be a great choice for your bike helmet needs. If you want a classic fit but need an extra large size helmet, the Bishop Bike Helmet from Giro is what you’re looking for. This helmet is suited well for pavement or dirt. The In-Mold construction ensures a light helmet that is durable and long lasting. Adjust the helmet for a custom fit with the Acu Dial system for maximum comfort and stability. The Bishop comes in three color combos: Black/Charcoal, Matte Black/Charcoal and Matte White/Charcoal. It’s great for men or women and is perfect for adults who need a larger helmet. The design of the Bishop is based on the sharp style and ventilation of two other helmets: the Revel and the Verona. If you’ve had trouble finding a helmet large enough to fit your head, look no further. The Bishop is designed just for you. The Bell Variant is the perfect versatile, all around bike helmet that is suited for anything you want to do. It works great for mountain biking or riding in the city. It has the Bell’s Fusion In-Mold Microshell and bottom wrap, users will have 19 cooling vents, a GPS fit system, cam-lock levers and a VPV adjustable visor that keeps the sun out of your eyes. The adjustable twin axis gear fit system ensures a superior fit and has a visor for even more style. The Variant comes in a variety of colors including: Gray, Matte Red Specter, Matte Blue Specter, White & Silver Specter, Black, Matte Titanium/Black Line Change, White, Black and Blue, Matte Brown and Orange Line Change, Matte Black/Bright Green Line Change, white/Silver. It comes with a 1 year warranty. The Cycle Force ATB Bike Helmet is the perfect helmet for adults that has plenty of features that make it the bike helmet you want to have. 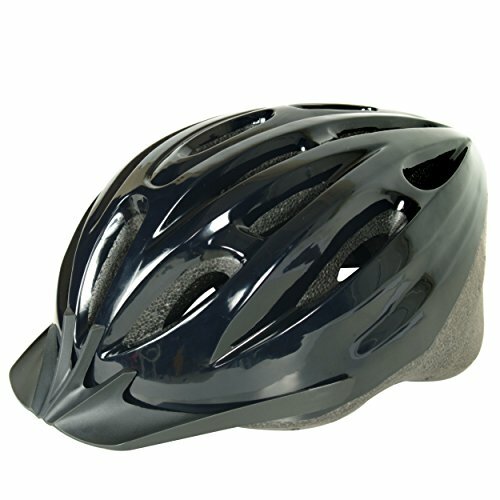 This bike helmet has a reinforced plastic microshell, 10 airvents, and a removable visor. It has an EZ fit system that that helps you adjust the helmet to fit perfectly. Padded straps keep the helmet comfortable. The range for size is 58 to 62cm. It is CPSC approved and is available in many colors including: Black, white, blue and red. This sleek bike helmet provides the protection you need and all the features you want along with great style. All three of these top rated bike helmets make the grade in terms of style, function, and features. 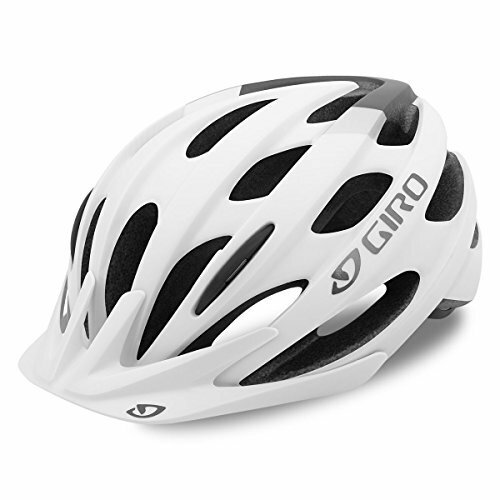 The extra large size of the Giro Bishop Bike Helmet is perfect for those who usually have a hard time finding a helmet that is big enough. The Acu-Dial adjusting system is perfect for making sure that your helmet fits perfectly. The Bell Variant and Cycle force are also adjustable and are designed to provide adults with a helmet that looks stylish and provides true protection as well. The durable construction of all three helmets makes any one of these a great choice to make. Continue reading below to learn more about choosing the right bike helmet for your needs. In this buyer’s guide we will go over the point an factors involved in finding the perfect bike helmet to wear for protection and safety while bike riding. There are three types of bike helmets: recreational, road and mountain. Recreational bike helmets may also be called multi-use or casual helmets. All three of these types have the same purpose which is to protect your head from impact and injury in the event of an accident. Despite their purpose being extremely important, bike helmets should be lightweight and comfortable as well. If they are too heavy and/or uncomfortable, people tend not to wear them. We’ve outlined the three types below with information on each one. Recreational helmets – If you’re looking for an economical choice for recreational, casual, commuter, road and mountain riding, this is it. Skateboarders and inline skaters also use recreational bike helmets. A lot of recreational helmets have attached visors to shield your eyes from the sun. Road Bike Helmets – Roadie enthusiasts love these road bike helmets due to their light weight, high ventilation and aerodynamics. Road bike helmets don’t usually have visors which helps keep the weight of the helmet down. It also aides in unobstructed views while you are riding. 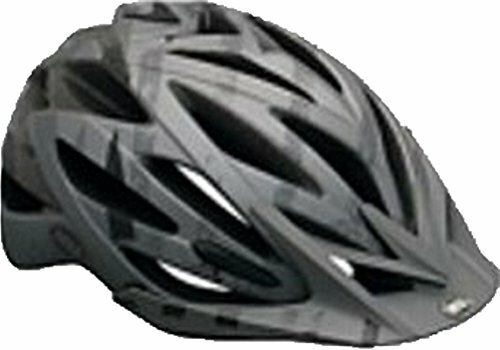 Mountain Bike Helmets – This type if helmet is designed to have a lot of ventilation at low speeds. They have visors, enhanced rear-head coverage and a secure fit. Some mountain bike helmets have full-face protection. In-mold construction is the process of fusing the outer shell and inner liner of the helmet with using any glues. This popular process is used in the making of most bike helmets. This provides a fast but strong helmet. Shell – the plastic shell that holds the helmet together provides the rider with puncture-resistant protection and will allow the helmet to slide in the event of impact that protects your head and neck. Liner – The liner of the bike helmet is made from polystyrene foam. The liner is designed to dissipate if there is impact to protect your head and neck. The follow points below are additional features that helmets will have. Look through them to see which ones are important to you. Visor – The visor that is sometimes part of a bike helmet is designed to keep the sun out of the rider’s eyes. They are most commonly seen on mountain bike helmets. The visor does add weight but it is fractional. There is some wind resistance that a visor will add but for those who prefer the shielding protection, the resistance is easy enough to overlook. Ventilation – Helmet vents allow wind to flow over your head and inside the helmet. It helps to keep your head cool and comfortable as you are riding. The more vents the helmet has, the cooler you are going to be. Strap – Struggling with the straps of a helmet is going to be frustrating and can affect the fit of the helmet. The straps should be comfortable, easy to buckle and unbuckle and should not cut into the chin or neck area. Hair Port – Some helmet designs work well with pony tails by having a strap design that accommodates them. This works well for women or men that have longer hair and want to keep it out of the way. Full-Face Protection – Mountain bike helmets sometimes have a chin bar that wraps around to provide protection for the face from downhill biking and biking on rocky or rough terrain where tumbles can occur. Endurance racers also like added protection for their face from accidents and falls. A good fit is the most important part of purchasing a good helmet. Most helmets are sized small, medium, large or extended sizes. You should not have a problem finding a helmet that will fit comfortably and safely on your head. Finding the right size helmet is not complicated. Wrap a flexible tape measure around the largest part of your head. This is usually going to be about 1 inch above the eyebrows. You can also wrap a string or ribbon around your head and then measure the string or ribbon with a ruler or yardstick. The right helmet size will match the measurement you got when you used the tape measure. We have included some general size parameters below. Individual size ranges may vary. If you find that you seem to be a half size off, go for the smaller helmet rather than the looser one that can flop around and will not do much good. Once you get the fit of the bike helmet down properly, little adjustment is needed and if it does, it will be minimal. Make sure the front of the helmet is level with the brow. It can also be up to 2 finger widths above the brow as well. Select the right size helmet that will fit snugly without being too tight. If you need to fine tune the size, use the foam pads inside to either make more room or make the helmet tighter. Make sure that the buckle of the helmet is under the chin and not off to the side. The straps should be tightened and adjusted until the helmet is pulled down when you open your mouth. It the straps are loose and the helmet is sliding everywhere, it will not provide much protection. Straps can loosen and shift over time and with use. Make sure that the tension and position of the straps remains in the correct place. Different models of helmet will fit differently. If one brand isn’t working for you. Don’t just settle for an improperly fitting helmet, try another brand until you find one that fits. Replace your bike helmet about every 5 years. If the manufacturer recommends replacing it sooner, do it then. It you have had an accident in your helmet, replace the helmet right way. Below we have provided some tips for keeping your bike helmet in excellent condition. The steps are easy and doing them will keep your helmet in good condition and clean too. Don’t use chemical solvents to clean your helmet. A soft cloth or sponge and warm, soapy water will be just fine. The removable pads can also be washed. Don’t store the helmet in a place that gets excessively hot. Excessive heat temperatures can damage the helmet and bubbles can form on the parts. Never wear a helmet that has been heat damaged. Don’t let anyone else wear your helmet. Helmets are personal things and they will work better and last longer if you are the only one to wear it. This way, you know what kind of riding is being done and what kind of care has been given to the helmet. Bike helmets are a necessary and important part of riding a bike. Their job is to protect your head and neck and make sure that if you do take a tumble, your head is protected. Helmets come in all shapes, colors, styles and sizes. With the right information you can find the helmet that will work the best for the type of bike riding you do. Bike helmets are not just for kids. Parents and adults can give a really good message to the kids in their lives by making sure they wear their bike helmets when they ride. It is a small inconvenience to pay to protect your head and neck from potentially permanent injury.